BD Micro-Fine™+ Pen Needles are designed to fit any BD Insulin Pen, giving you complete peace of mind when choosing a BD pen needle. Almost all people with diabetes now use a pen device to inject. They're a convenient way to deliver a precise dose with minimum fuss. Increasingly, newly diagnosed people with diabetes as well as experienced insulin syringe users are choosing the insulin pen as their preferred choice of injection device. 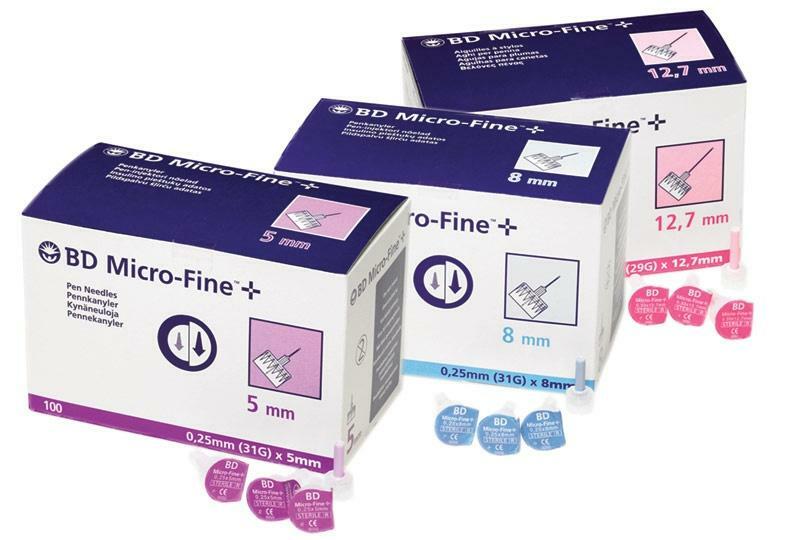 BD Micro-Fine™ Pen Needles are designed for single use and are available in three different needle lengths. Please consult your doctor about the needle length and the injection technique most appropriate for you.